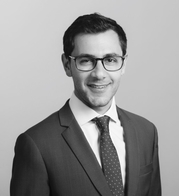 Thomas Ségal is the Deputy General Counsel of Quilvest Private Equity since 2017. Based in Luxembourg, he assists the investment teams from all offices, while playing a coordinator role with the support teams. Thomas also sits on the board of various group companies. Prior to joining Quilvest, Thomas worked as an attorney in law firms in New York and Luxembourg. He is a graduate of Paris X University and holds an LL.M. from Cardozo Law School (New York), and is qualified in New York, Paris and Luxembourg.